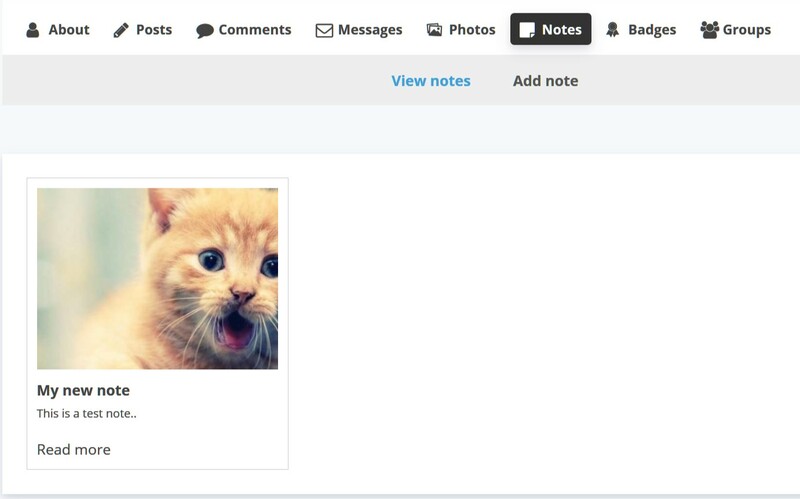 User Notes extension allows users to create notes on their profile. This document provides instructions on how to setup and use User notes extension. Notes per page - choose the number of notes per page. Thumbnail image size - the size of the thumbnail image in pixels. Excerpt length - excerpt length. Read more text - change the text of the Read more button. Load more text - change the text of the Load more button. 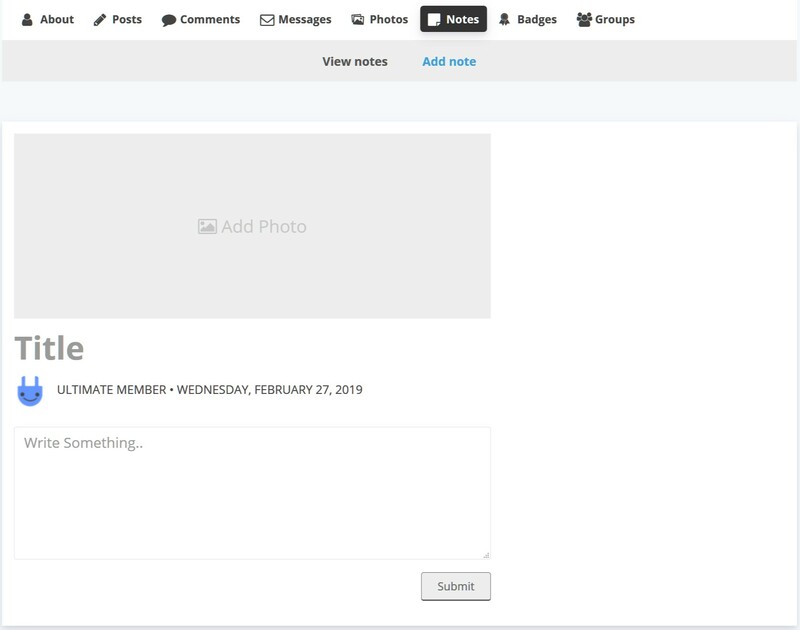 The User Notes extension will add Notes tab on the user profile where users can add notes to their profile. Adding a new note can be done by clicking on the "Add note" button. 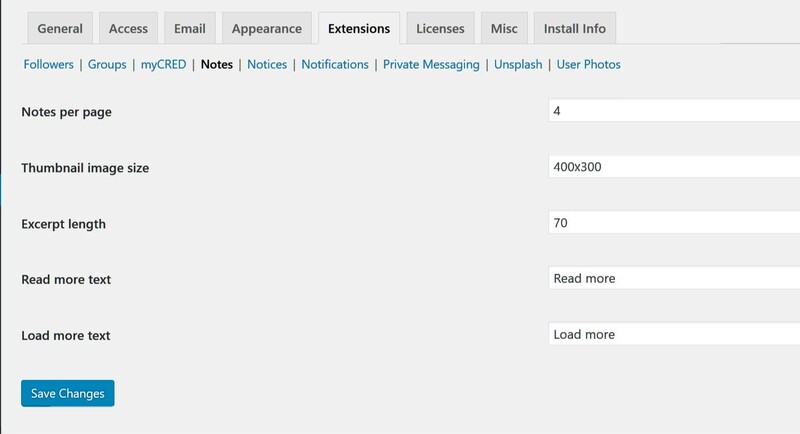 On the Add note dialog users can upload note image, set note title and add some text.